This College is accredited by NAAC A (National Assessment and Accreditation Council) validity is 02 Mar 2020 and the score is 3.35 .
Who must have thought Engineering could be so affordable! First of all as my title suggests the fees here is very very less as compared to other engineering colleges! as for the infrastructure It is very well built with some very historic buildings! The Library here is one of the largest in Asia! The campus is quite green & The professors are really good!' Overall a good choice! I am enrolled in b.sc (hons.) In physics department in aligarh muslim university.amu,one of the best universities in india has created a unique reputation in india and worldwide but we all know about that.let me talk about my personal experience here.i enrolled in this university this year only,i have been here three months now and i can say undoubtedly that it is one of the best universities in our country. When i first came to amu, i being from northeast found myself difficult to adapt to the lifestyle of a north indian university.one day i almost cried in my room thinking how i will cope here.but as some days passed it began to feel like home here.both students and teachers are very helpful here.if i asked about the location of a department people here take me to my department themselves on their cycle or bike.the student crowd is amazingly diverse, students from all walks of life rich or poor, all parts of the country from kashmir to kanyakumari and from west to far northeast like me come to this great institution.even international students are also enrolled in various departments but once you are here; wherever you are from, you now belong to "the alig community" - this is the best thing about the students crowd here.the students here are very energetic also and try to strive to excellence in all walks of life.the grooming one gets here is extraordinary. Dont get me wrong i also studied in cotton college, one of the best college of northeast before but amu is different.it has a very large and distinguish alumni network,people all in good positions currently.the list of alumni includes naseeruddin shah,various ias,ips and other high ranking officials.amu has very experienced and distinguished faculty in all departments, people who have all achieved high in life and they motivate us to aspire higher in life and academics and to not just go through our time here but to grow through it.all the teachers are very punctual and classes are very regular.the teaching style of the faculty here is excellent and studentcentric.there is one maths teacher, who put so much energy in the class that he sweats through the entire class even in ac classrooms. The classrooms here are state of the art with very good facilities and the learning environment of the university is amazing.there are also sports and athletics facilities for students who want to excel in sports.the athletic ground is amazing. 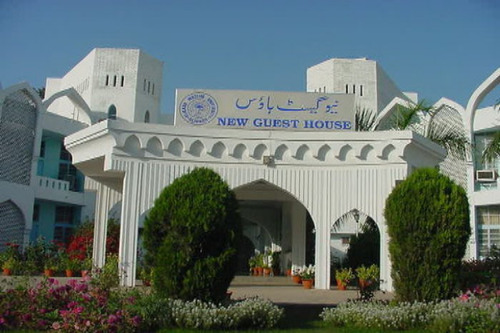 The infrastructure of the entire university is state of the art and the architecture is fabulous with elements of mughal and british architecture interwined in all the structures.the history of the university is very rich and there are many places of historical importance in the campus,now very good sites for photo and selfie sessions by students like bab-e-syed(university main gate),engineering faculty, last message of sir syed ahmed khan,the founder of the university,sir syed house,stretchey hall, the university circle&minto circle,etc. There is also a cultural education centre(cec)-the kennedy complex which houses the literary club,debate&quiz club,film club,drama club,music club and there are short evening courses in the cec for students who have a interest in cultural education.the cec organises various events in which students get to show their talent and others get to rejuvenate a bit in the busy study routine.recently drama club held a campus wide dramatics week which was really enjoyable.till now you would be getting the feeling that there is only historical importance of the university and there are only means to enjoy in the university but that is not true.amu gives great learning opportunities to all its students.the university has amazing faculties and departments. For example my department physics .one who would have studied physics at any level in a college or university would know that physics teachers leaving aside one or two are generally very proud and do not interact much with students,no offence.but here all the physics faculty are very polite and helpful.they all like to interact with students and class comes alive with the energy they put in the class.one of my physics teachers who is a very learned scholar,he did his b.sc from du,m.sc from iit kanpur,mtech from iit delhi,phd fom australia and postdoctoral research at max planck institute in germany.one would expect that after achieving so much he would be very proud but i have not seen any other being so down to earth and friendly like him.he also teaches amazingly in class and make sures that the students get what he is trying to teach. There are also very good professional courses here,zh engineering college and in medical college,both among top ranks in various rnkinga in india.also there is university polytechnique for professional courses.the placements are very good here with various top companies visiting the campus and there is also various programs in university to make the students employable and to boost their profiles. There are placement and training cells running,nss in which i enrolled recently. Besides various leading industrial and administrative people keep visiting the university to deliver lectures and interact with the students to motivate them,so the industry exposure of the university is also good.the fees is very affordable here.it is one of the cheapest costing universities in india along with bhu and jnu.course fees is very less hostel fees being only 2000 per year and monthly mess fees only 1000rs. Only drawback of the university, i would say that there are lengthy processes for everything and you have to apply to different offices for a simple thing like free wi-fi and also there are many hostels in the university with great facilities but still they are not enough to cater to the very large number of students and one dont get a hostel room in first year easily but there are easy accomodation at very cheap rates just near the campus. There are library facilities in every department here but the central library-m.a. Library one of the largest in india has got tremendous facilities.it is fully airconditioned, it has a very large collection of books and all the books are available for the students to read and to borrow. The library is open till 2am in the night and is open all night during exam times to provide students facilities to study in peace.there is a canteen just behind library besides small cafe houses all around the university so that students can get a qwick study break and get a snack in middle of the studies when they feel tired to rejuvenate themselves and could again focus on studies something i myself find of use. The whole campus is very green and very wide with no outside disturbance.the greenery of the campus is awestrucking and one can feel at harmony with nature here and so can direct all his energy in right directions and achieve whatever he wants to achieve in life be it in academics,sports,co-curricular activities,etc. Love this great institution and would recomend it to everyone intrested. 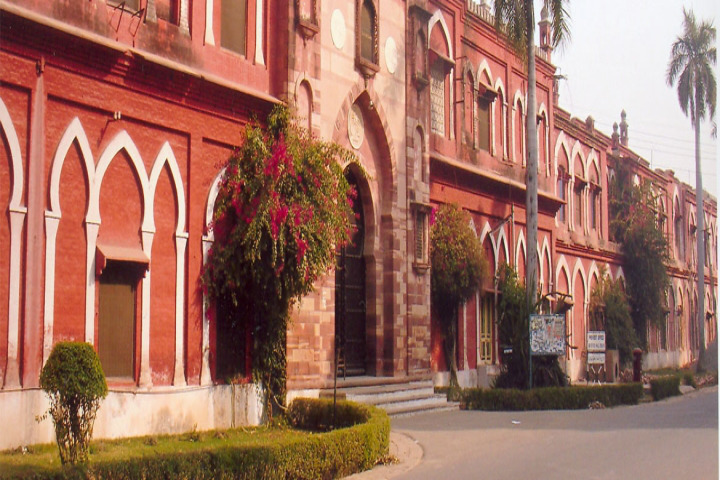 In short amu is not only a university, it is a universe all by itself.!!!!! When I first came here I found certain students not really happy with the college system here but as I stayed I gradually became fond of this place,the students are helpful,library is well equipped,syllabus is strictly in accordance with judicial exams which is the reason most students makes out in judicial and civil services.Teaching quality is really awesome.though it is a bit less favourable to students who want to pursue their career in corporate.I guess this is the reason for some students not liking the study pattern.infrastructure is good.there are seminars and conferences where eminent jurist of the supreme court and high courts have interacted.National moot courts are held annually.In short, it provides all the facilities with a student really needs to develop skill and make a good future.The hostel is really nice with facilities like gym, sports,computer hub,centralised wifi,newspapers,magazines etc.Food is hygienic and healthy different from typical hostels,moreover, the canteen is really cheap and affordable for all category of students.The faculty has its own prestige and recognition worldwide, with proud alumni.The place provides really affordable and quality education.It reliefs the youth and their guardians of the economic burden.Hundred percent return on investment.As for me, I would give thumbs up for this college for sure.my advice would don't judge this place by others opinion but when you experience it yourself You will see that I am correct. Faculty of law is a place where one thing is for sure that along with quality education one gets moral embed within them.the faculty infrastructure is good but needs improvement.though placement is given but the faculty needs to collaborate with more firms..moots etc. Are held even eminent speakers do come to deliver lectures but there are less of get together's..with all the norms being followed for sure.hostel life is excellent with all facilities provided in a negligible fees structure.overall it is a place one must consider for education..it will certainly not be a regretful decision. 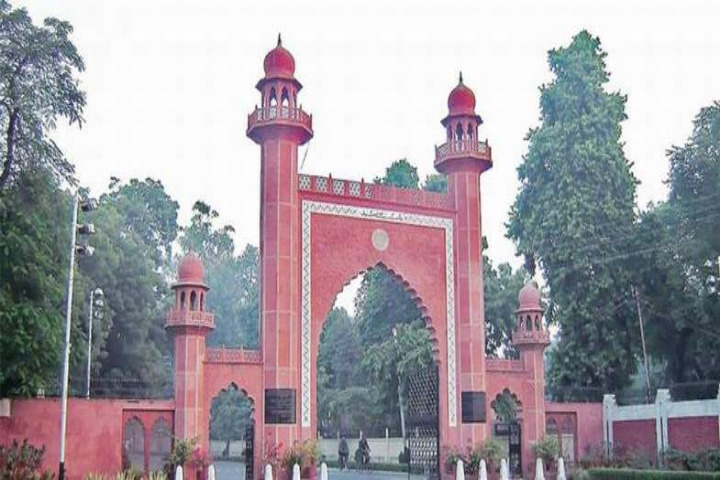 Is their any chance that I can fill aligarh Muslim University form..if any please guide.. When will AMU BUMS form available for fill up? I've acheived 40.5/100 in AMU B.Sc. hons. Entrance. I'm from OBC category (woman).can I get admission in AMU? This College is accredited by NAAC (National Assessment and Accreditation Council) A validity is 02 Mar 2020 and the score is 3.35 . Boys Hostel :A special feature of the University is its residential character with most of the staff and students residing on the campus. 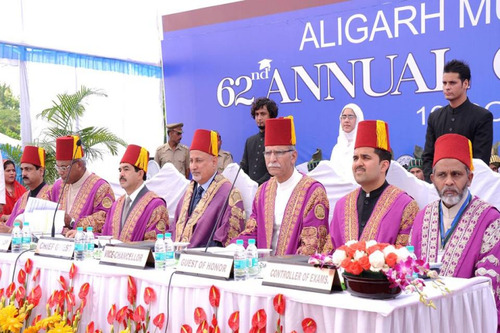 AMU is truly representative of the country's multi-religious, multi-racial and multi-lingual character. 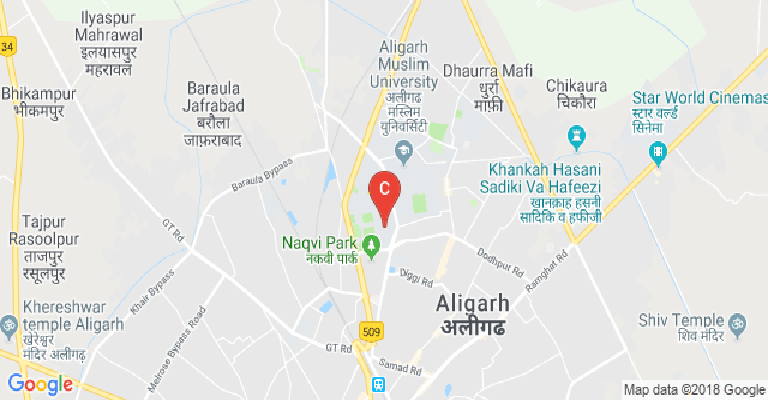 At Aligarh, Muslims, Hindus, Sikhs, and Christians come from all parts of the country - right from Kashmir to Kerala and from Gujarat to Assam - bringing with them different cultural traditions. They live here on the campus in the same rooms, dine on the same tables, play on the same grounds, and share together the joys and concerns of residential life. There are 19 Halls of Residence and one Non-Resident Students Centre (NRSC). Girls Hostel :The college has a girl's hostel facility which provides good hostel accommodation for the students. Residence for boys and 04 for Girls). Medical/Hospital :This hospital is initially known as Curzon Hospital (After the name of Lord Curzon who visited MAO college in April 1901& contributed generously ) is working since 1904, later on, came to be known as University Health Service through EC resolution no 27 dated 14.03.1932. Since then it has been catering to the entire health needs and medical care of about 30,000 university students. Gym :The college has a Gymnasium facility for the students (Physical Culture Club (Weight Lifting, Power Lifting & Body Building). 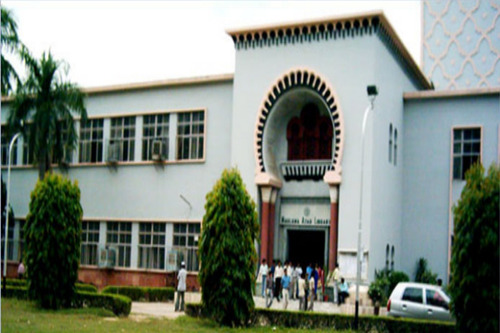 Library :The Central Library of the Aligarh Muslim University popularly known as Maulana Azad Library is one of the largest university libraries of the World which possesses about 18,00,000 volumes of books and 55,097 current journals in hard and soft copies. A library is the Central Library of the University with more than 110 sister libraries (college/departmental libraries). It is a World famous repository of rare manuscripts and books in Urdu, Persian and Arabic languages. One of the most priced parts of the Library is its Manuscripts Division which possesses about 16,000 rare and invaluable manuscripts on Islam, Hinduism, etc. M.A. 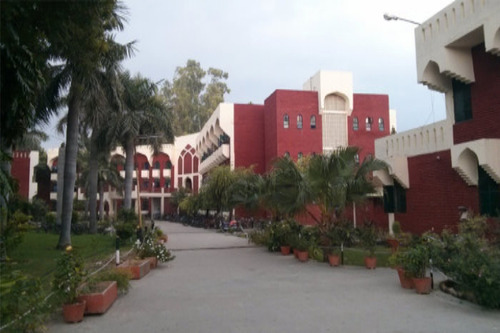 Library possesses about 1.5 lakh books in Persian, Urdu, Arabic, Hindi and Sanskrit languages on almost all the subjects taught in the University. Research scholars of Persian, Arabic, Urdu, History, Islamic Studies, West Asian studies, Unani Medicine, Theology, Mass Communication are its regular users. 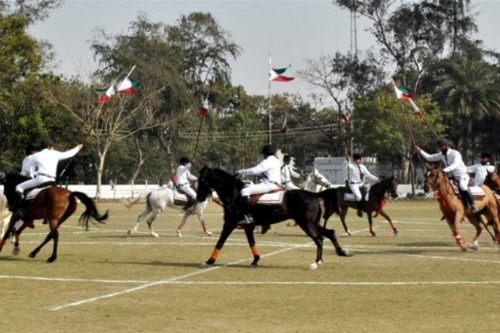 Sports :In AMU sports and games activities are organized under the patronage of the University Games Committee with Vice-Chancellor as Chairman, & Secretary & Presidents of Clubs, who are members of teaching staff. The University Games Committee consists of 15 main clubs & sub-clubs. AMU has given the country some of the best sportsmen of national and international fame. The University has separate fields for cricket, hockey, football, tennis, riding, and athletics. Indoor facilities like billiards, chess, carom, table tennis, swimming, and badminton are also available for boys and girls students separately. Alumni Associations :The college has a good networking for alumni association and Mohd. Hamid Ansari, Naseeruddin Shah, Javed Akhter, Sahab Sing Verma, Zafar Iqbal Notable Alumni. Swimming Pool :Swimming pool facility available for boys and girls students separately.